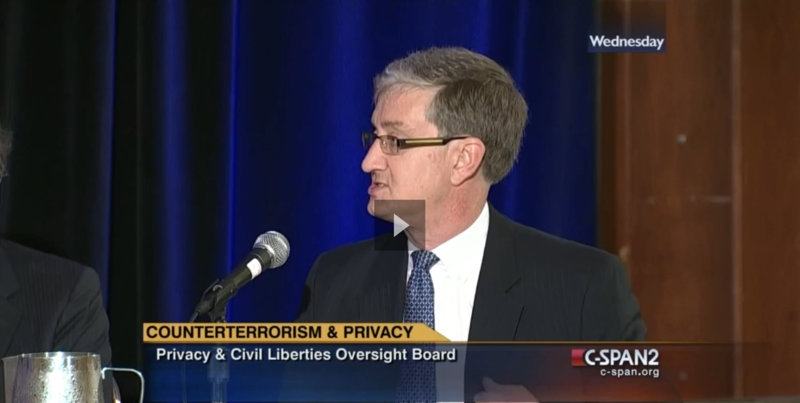 On Wednesday, November 12, Elysium’s founding witness Ed Felten presented his thoughts on preserving privacy in the counterterrorism age at a public meeting of the Privacy and Civil Liberties Oversight Board (PCLOB). The PCLOB is “an independent, bipartisan agency within the executive branch” charged with monitoring the government’s actions and policies, with an eye towards balancing privacy and civil liberties with effective counterterrorism measures. Follow the link below to view video of Ed’s testimony on C-SPAN, or read his prepared remarks on Freedom To Tinker, the blog he created for technologist commentary on law, government, and public policy.